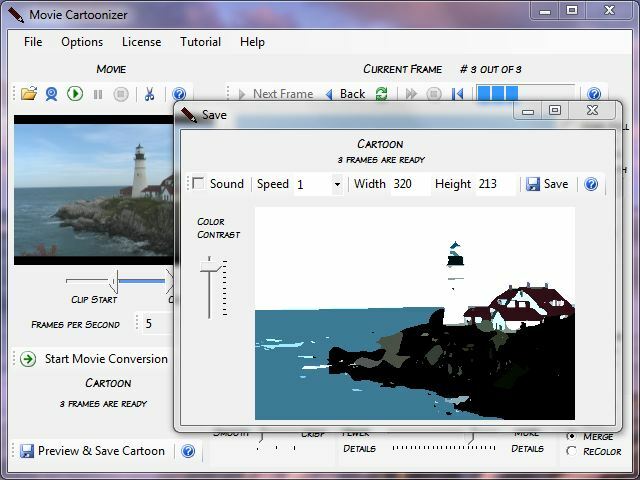 Converts movies into animated clips. Just load a movie (in avi, wmv, asf, mpg or mpeg format), click a few buttons and view the result animation. The animated clip can be saved in gif or avi or wmf format. The animated gif can be easily included in a web page. This is a program both for novice users and for amateur designers. Check our website caricaturesoft.com for example animated clips made with this program. Movie Cartoonizer complements Photo to Cartoon software that converts still photographs into cartoons.